“The decks have been cleared for the immensely significant project of the ropeway connecting the birthplace of the Khalsa Sri Anandpur Sahib and Mata Naina Devi. 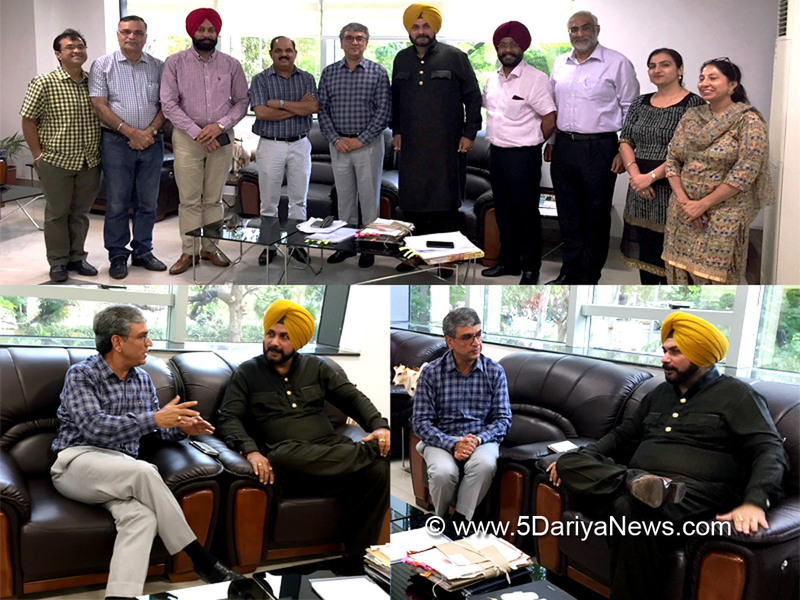 Once commenced the project would prove to be a milestone in not only boosting tourism sector in both Punjab and Himachal Pradesh but would also be an epitome of strengthening the Hindu-Sikh bond.”Disclosing this here today at the Punjab Municipal Bhawan after a meeting with the Additional Chief Secretary (Culture & Tourism) Himachal Pradesh Mr. Ram Subhag Singh held to revive the ropeway project, the Tourism and Cultural Affairs Minister, Punjab, Mr. Navjot Singh Sidhu said that earlier the MoU between both the states was signed but was shelved in 2014 which is now set to be revived as directed by the Chief Minister, Punjab, Captain Amarinder Singh to the Tourism and Cultural Affairs Minister. He also divulged that the MoU would be inked during this month itself which in turn would accelerate the pace of the project. During the meeting Mr. Ram Subhag Singh said that the project has been cleared yesterday by the cabinet of the Government of Himachal Pradesh. On this, Mr. Sidhu said that on the Punjab side also the Chief Minister, Captain Amarinder Singh has put his stamp of approval which would set the ball in motion.The minister further said that the project would cost tentatively Rs. 200 crore and would cover the distance of 3.5 KM. He also emphasized that the safety of the pilgrims would be given top priority and keeping in view this aspect, the services of top notch company would be hired who must have an accident free record.Elaborating further, Mr. Sidhu categorically made it clear that all the necessary clearances with regard to the project would be obtained as no hindrances would be allowed to come in the way of this flagship project.On the occasion, Principal Secretray, Tourism and Cultural Affairs, Punjab, Dr. Roshan Sunkaria, and Director Tourism Mr. Malwinder Singh Jaggi were also present.